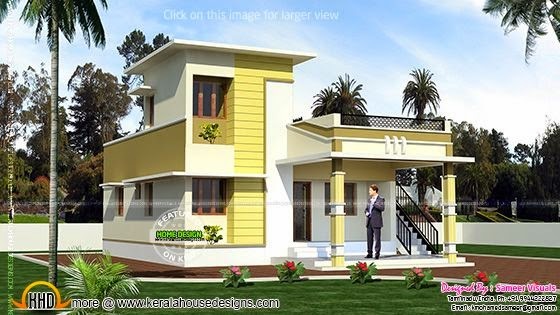 1048 Square feet (97 square meter) (116 square yards) single storied two bedroom house exterior elevation. Designed by Sameer visuals, Tamilnadu, India. Total area : 1048 Sq.Ft.